FOI Man explains why he feels uncomfortable with one police force’s (sort of) transparent approach to FOI. Avon and Somerset Constabulary, like many other public authorities, have a page on their website for FOI. And it’s full of really useful features like a searchable disclosure log. Fantastic. What ruins it slightly is that the top of the page is taken up by a huge box advertising how much they say answering FOI requests has cost them over the last three years. The subtext is clear. You naughty little taxpayers should stop bothering us with FOI requests. You’re stopping us from catching murderers and burglars and taking lunch with the Press. Now some will argue that this is a good idea. 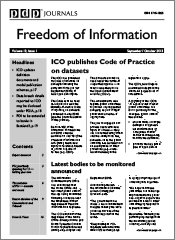 People should be made aware of how much FOI costs so that they use it responsibly. There is something in that. But here’s why I think that what Avon & Somerset are doing, and what it represents in terms of the attitude of public bodies, is wrong. Firstly, as with all these figures that are put out during debates on FOI, the figures themselves are questionable. To be fair to Avon & Somerset, they are open about the methodology they use. They say that they use the formula requests x £30 x 18 hours. What they don’t say is how they arrived at this formula. It’s true that £30 is consistent with the cost calculated by the Ministry of Justice’s research which was published this week. But Avon & Somerset have displayed these figures for months at least judging from FOI requests about the figures. And when someone asked them recently to provide any correspondence relating to how they decided this formula, they responded that they held no information. So it isn’t possible to judge whether their methodology in calculating these figures is sound. What is clear is that the cost of employing FOI Officers makes up a fairly small proportion of the cost quoted on the main FOI page. FOI requests have elicited a total cost of £69,587 for the 2010/11 financial year for the three FOI Officers employed. And perhaps the idea of advertising up front the cost of compliance with FOI requests wouldn’t be so bad if the constabulary advertised the cost of other services in similarly large unfriendly numerals. Will people ringing 999 be told how much emergency calls cost to deal with before reaching an operator? I wonder if staff ordering refreshments for meetings are instructed how much the constabulary spent on tea and biscuits the previous year? I’ve got a hunch they’re not. We do know through an FOI request that the Constabulary spent £677,200 in 2010/11 on employing staff on marketing, PR and communications activities (including internet content), because they provided this in answer to an FOI request. But I’m pretty sure it isn’t prominently displayed anywhere on their website (I wonder why?). The post-legislative scrutiny appears to have unleashed a no-holds barred full-frontal offensive on the right of general access to information. Avon & Somerset are joining the ranks of those whose evidence to the Justice Select Committee paints FOI in the darkest light possible. It’s also in the same tradition as the news stories about “wasteful” and “trivial” FOI requests that turned up in the Press suspiciously close to the announcement of the start of the post-legislative scrutiny in December. Even I’ve been surprised by the intensity of this. Surely there are other things which offend public authorities or add to their administrative burden? So why does FOI in particular attract such venom from right across the public sector? And shouldn’t we question the fact that public resources are to some extent being used to campaign against a legal requirement? I’ve always been sceptical about conspiracy theories. I still am. I believe that most, if not all, of the annoyance with FOI is about resources and being able to provide an effective service. Most public officials, and indeed politicians, are not consciously being secretive for the sake of it. Their righteous indignation comes from a sincere belief that FOI is an expensive addition and an obstacle to their core purpose. But their inability to see the bigger picture and understand that there are good reasons for FOI that justify some inconvenience means that less flattering perceptions of them will remain. Incidentally, another study has been published, this time looking at the cost of FOI in the higher education sector. As with the MoJ report last week, from an academic point of view, all of this data on FOI is very welcome. But it still raises the question in my mind, why are public authorities expending quite so much effort on establishing the costs of FOI in particular? Why not other areas of their work? It leaves me feeling rather uncomfortable. Obviously I can’t comment on the motivations of other public authorities but am happy to try to answer the question you pose: “why are public authorities expending quite so much effort on establishing the costs of FOI in particular? Why not other areas of their work?” in relation to the results we at JISC infoNet published on the HE sector last week. Firstly I should perhaps allay any fears that our project was inspired by any attempt to gather brickbats with which to beat the FOIA. 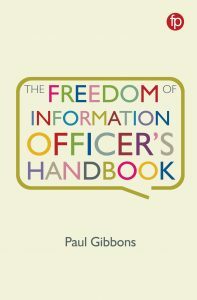 It is no doubt true that there are some people working within HE, just as with other branches of the public sector, who are concerned with the apparent cost to their organisation of responding to FOI requests. These fears may be justified, or they may be completely misinformed: without accurate data confirming the numbers of requests being received and the real costs associated with processing them we can never know – and nor can they. For reasons best known to those involved FOI seems to polarise debate in both directions as few other issues in public sector governance do, often with a lot of heat but not much light being generated as a consequence. At least with access to as accurate, detailed and impartial a set of data as we could muster there is something concrete on which the debate can now be based. It is true that Universities UK will be submitting our data as part of the PLS process. As you know there is an active debate at the moment as to whether the current fees regime is fit for purpose or should be amended to better reflect where costs are incurred in the process. The way we conducted our project and the analysis we have carried out on the results has not been influenced at all by the pros or cons of this argument, but simply with the objective of surfacing the evidence and letting people make up their own mind. 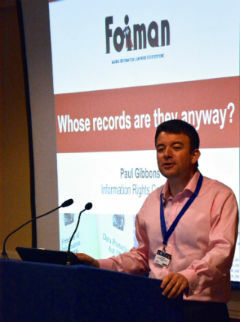 Within the HE sector I think it’s fair to say that the response to FOI has grown organically over time since 2005. In many cases responsibility for FOI was at first tacked on to existing roles, sometimes it still is. Excel spreadsheets or Outlook are often still the only tools used for logging and tracking requests and personal knowledge and contacts are the only way of ensuring the right information is identified, located and considered. For many institutions only receiving a handful of requests this may still be entirely appropriate and spending tens or hundreds of thousands of pounds on implementing enterprise-wide systems and employing teams of dedicated staff would rightly be decried as a waste of public money. Meanwhile others have clearly recognised the business need for investing in recruiting professional support and in ‘ramping up’ the scale of their request handling processes to deal with the number of requests they are receiving. Access to accurate data, be it through our annual survey or through our cost analysis research will allow institutions to reflect on their own existing circumstances, to debate the impact of future trends and to plan and allocate resources appropriately. As you will have seen from our analysis we have spent a lot of time looking at possible links between institutional factors and the efficiency with which requests can be processed. Providing data which may allow institutions to reflect on their own performance and to consider if and how they may be able to improve it hopefully not only benefits them but also those who may request information from them in the future. Thanks for this thorough response. As I said initially, I recognise that there is value in the exercise you’ve carried out, and I’m not conflating your study with the approach of Avon & Somerset, for instance, which I think is a different thing altogether. I’ve not had time to go through your data thoroughly and maybe I’ll write something about it when I have, but it looks very useful and interesting. As someone from a records management background like yourself, I’m very interested in your attempt to look at whether better records management = cheaper FOI compliance. So I absolutely recognise the value. You’re also absolutely right that it is helpful for people to work out the truth of the matter through access to the actual data, and over at the SaveFOI campaign website, we’ve been publishing links to all the data (including your study) so people can make their own minds up. My only concerns are with the timing and the lack of other research. However academically sound the study, by releasing it at this time, it is bound to be seen in the context of the remarks of UUK and others in higher education in their evidence to the Justice Select Committee. The study would have been useful at any time, so why carry it out now? And whilst there is value in understanding the resource implications of FOI, there is also value in understanding its benefits, and no public authority seems to be doing that.